About | Christopher R. Rothrock, M.D. Dr. Rothrock is a board certified orthopedic surgeon, who is fellowship trained in sports medicine and arthroscopic surgery. He has been practicing in St. Louis since 2003, and he takes care of high school, collegiate, professional, and recreational athletes of all ages and is an expert in the treatment of work related injuries. Dr. Rothrock specializes in the treatment of the following shoulder and knee injuries: rotator cuff tears, labral tears, shoulder dislocations, biceps tendon tears, clavicle fractures, and AC joint sprains, as well as ACL tears, meniscal tears, articular cartilage injuries, and knee ligament injuries. Born and raised in Bethlehem, Pennsylvania, Dr. Rothrock is a graduate of Penn State University, where he received his Bachelor of Science, Master of Science in Exercise Physiology, and Doctor of Medicine degrees. He completed his orthopedic surgery residency at the University of Rochester in Rochester, New York. Upon finishing, he was chosen to participate in a Sports Medicine Fellowship at the Cleveland Clinic Foundation, and he was a team physician for the Cleveland Browns, Cavaliers, Indians, Rockers and Barons, as well as John Carroll University. 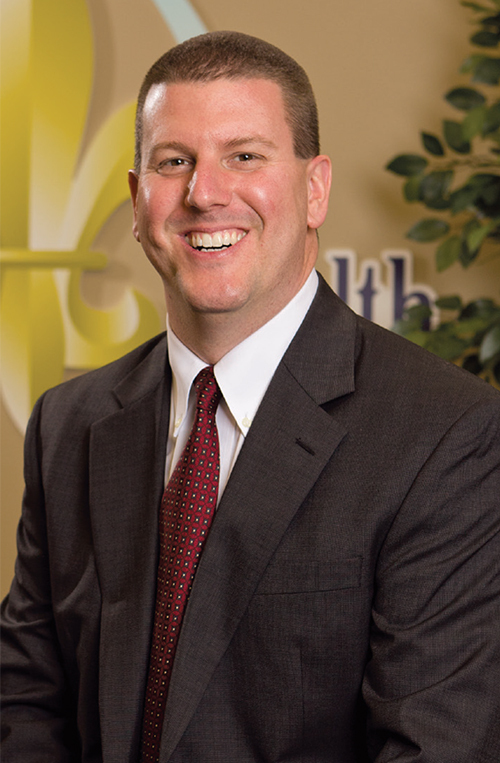 Dr. Rothrock is the president and owner of St. Louis Sports Health, LLC, which he founded in 2009, and at St. Louis Sports Health, our mission is to deliver excellent patient care as a team through healthy relationships that empower people to return to work, sports, and a healthy and active lifestyle safely, efficiently, and effectively.